Receiving an unfair conviction or unusually harsh sentence can be one of the most shocking and simultaneously frightening experiences of your life. You may have been aware of the potential penalties for the charges you faced, but you figured that the judge wouldn’t have a reason to punish you to the full extent of the law. Contrary to your beliefs, the judge has made his or her decision and slammed the gavel to solidify it, but that doesn’t mean the case ends there. Circuit Court Appeals: County Court cases like misdemeanors and traffic infractions. District Court Appeals: Circuit Court cases like felonies, juvenile, probate, and circuit civil cases. Florida Supreme Court Appeals: Death penalty cases and cases that have been lost at the District Court of Appeals. 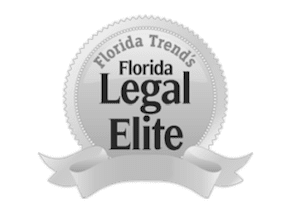 An experienced Orlando appellate attorney with The Umansky Law Firm can analyze your case thoroughly and help guide you through a successful appeal. An unfair sentence can result from a judge’s improper review of the pre-sentence report, biases that can be proven by past actions, and much more. Your attorney can help identify and prove what may have led to the sentencing. The appeals process is not for presenting new evidence, but your lawyer can appeal for a new trial upon learning of new evidence that could have possibly led to your exoneration. The court system, like anything else, is prone to mistakes, and while a majority of them have no effect on your case directly, some do. Your lawyer can request an appeal if he or she believes that a court error played a role in your conviction or sentencing. If your conviction resulted from negligence, error, misconduct, or any other issues and other forms of appeals were unsuccessful, your attorney can argue the legality of you being imprisoned by filing a petition for habeas corpus. If you are looking to appeal an unjust court decision, trust the Orlando appellate lawyers at The Umansky Law Firm to be by your side every step of the way. Contact us today at 407-228-3838 for a free case evaluation.